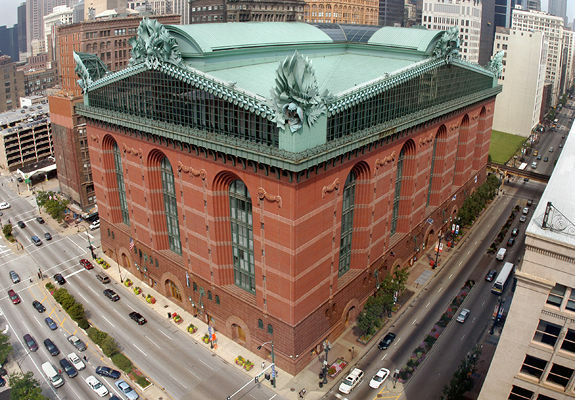 Materials Science, an exhibit featuring the Atom Probe!, is on display through January 30, 2020 in the Grand Promenade on the 3rd floor of Harold Washington Library Center. Materials are everywhere in our daily lives, and yet we probably use them without thinking about where they come from. Visiting Materials Science may change that. From toys to takeout boxes, rechargeables to running shoes, materials are found in every aspect of our lives. How much do we know about the history and makeup of these things we rely upon daily? Learn the science behind familiar materials like plastic and metals, and innovative new materials that may change our lives. Explore where materials science is headed next as scientists and engineers push its limits forward. Learn how ceramic roof tiles are different from the ones on a space shuttle’s exterior. See how materials undergo destructive tests; create different carbon structures like diamond and graphene; identify the best elements for designing magnets; and compare historical materials to the ones we use today. 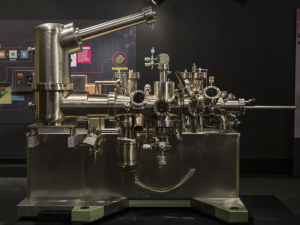 See a massive Atomic Probe Field-Ion Microscope, the type that first allowed scientists to image materials at a molecular and atomic level, opening the door to even more innovation. As materials science reaches smaller scales, its impact on our lives may only grow. Want to learn even more about the exciting world of materials science? Check chipublib.org/MaterialsScience throughout the year for events designed around this exhibit. 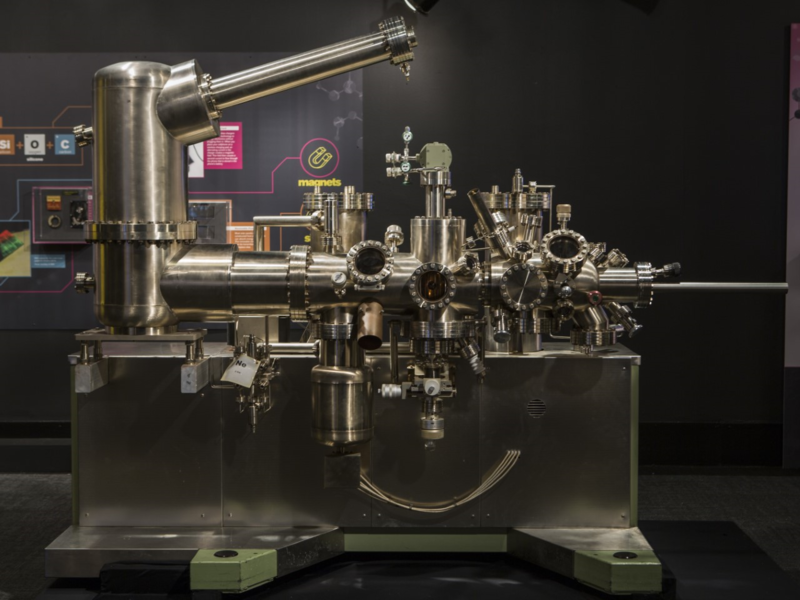 This exhibit is presented in collaboration with Northwestern University's Materials Science Research Center and the Museum of Science and Industry.